Submissions for 2019 open in May - Please sign up to the email list for more info. 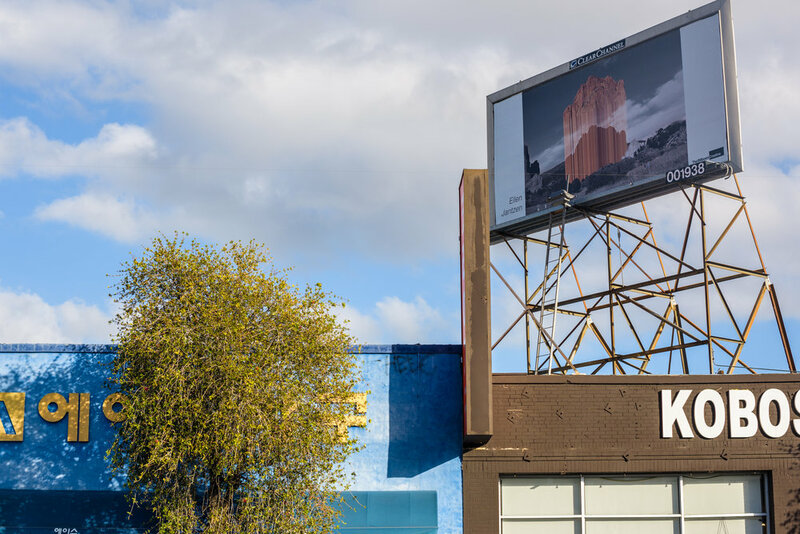 The Billboard Creative is an all-volunteer nonprofit that produces public art shows on billboards in Los Angeles. TBC has appeared in such news outlets as “Huffington Post”, creators project, Site Specific and KCRW's “Art Talk” just to name a few. We are passionate about the emerging and underrepresented artist and have designed The Billboard Art Project with them in mind. Open Internationally to all disciplines - if you can put it on a digital file we can put it on a billboard. Submission information below. Open Internationally to all disciplines - if you can put it on a digital file we can put it on a billboard. Please look at the gallery section for examples of past shows. Selected work will be displayed on billboards throughout Los Angeles in a show in which the cityscape provides the walls of our gallery. The show is promoted on our website and through our social media channels. We create a map with artists' information, website, location of board that can either be seen on our APP or downloaded from the website (past examples). 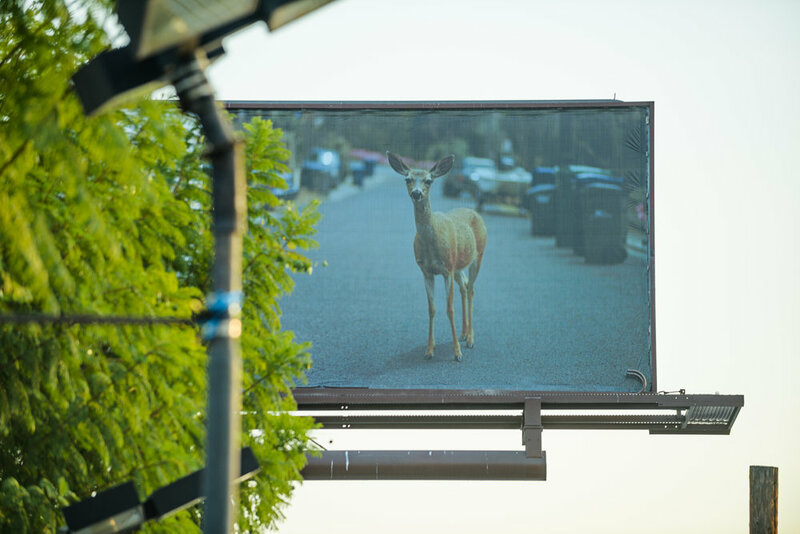 Imagine your art viewed on a massive scale, by tens of thousands of Angelenos on their daily commutes. It is public art displayed in a quintessential Los Angeles medium. Click submit button - you will be redirected to our page on the Call For Entry website. To ensure an easy and safe submission process, TBC use Call for Entries to accept images and payment. After submissions close Curator Andrea Blanch, founder and editor of Musée Magazine, will conduct a blind-review process to select the pieces that will be included in the exhibit. Deadline: Due to a technical glitch we have extended submission period to March 18, 2018. Click here for legal agreement. TBC is an all-volunteer nonprofit - all submission fees are used for the production and management of exhibitions - we have no salaried staff. If your work is selected, TBC covers all expenses for the production, mounting, and leasing of the billboard. Not all submissions will receive a billboard. Everyone is eligible - if you are under 18 you must have a parent or legal guardian submit your work. The Billboard Creative will not use your images for any commercial purpose outside the terms of the TBC show and publicity for TBC and its shows. Every image you submit is yours and you retain all rights to your images. Q: When do I find out if I have been selected? We take selecting the work very seriously. The process usually takes a few months after the submission deadline. All entrants will receive and email notifications when selections have been made and this information will also be posted on the TBC website. 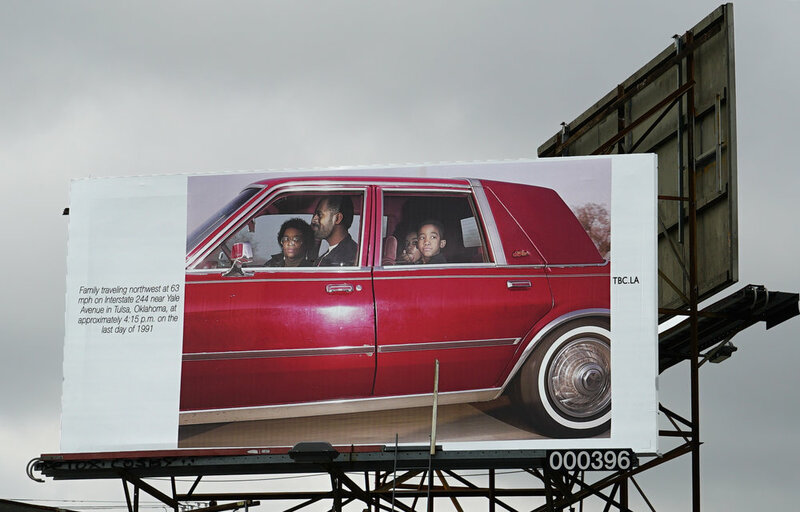 Q: Does the art have to be the same aspect ratio of the billboard? No. Please be assured that your piece doesn't need to fit perfectly on a billboard when you submit your images. There are a many ways to work around the different sizes. Q: Will it help me if my work fits on a billboard? No. 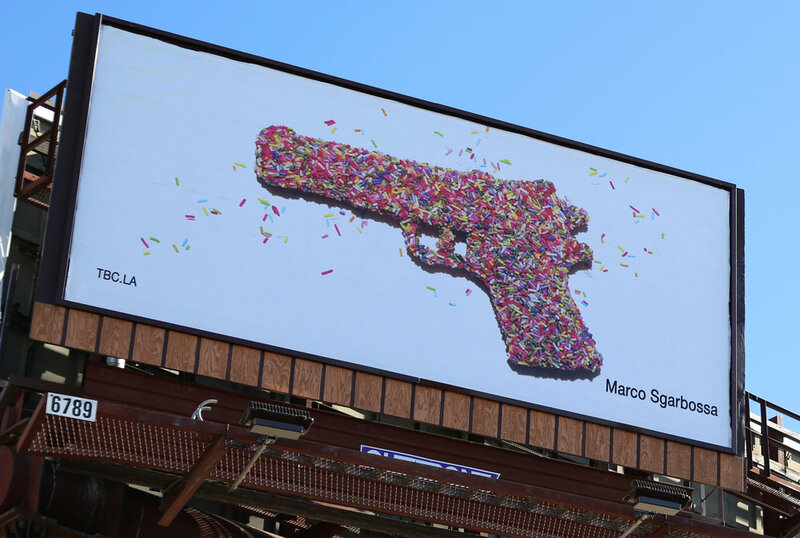 Artwork is not chosen because of how perfectly it fits on a billboard. We deal with two major vendors that have completely different requirements and different billboard sizes and formats. Because of this, it is difficult to provide specific sizes and ratios until a few weeks before the show goes up. However, because many people have asked for this information during the submission process, the most common sizes of billboards from past TBC shows are listed below. Q: What size billboards do you lease? Every billboard company has multiple sizes of boards each with its own name. TBC refers to all sizes 10 feet x 22 feet and above as billboards, and works exclusively in these larger size formats. Examples below. Q: What are the submission fees used for and if I don't get accepted can I get a refund? We are an all-volunteer organization - the fees, along with donations, go to rent the billboards and help cover the cost of organizing and staging the billboard show. There are no refunds. If you are a selected artist we will contact you about reformatting your file to fit on the specific billboard. 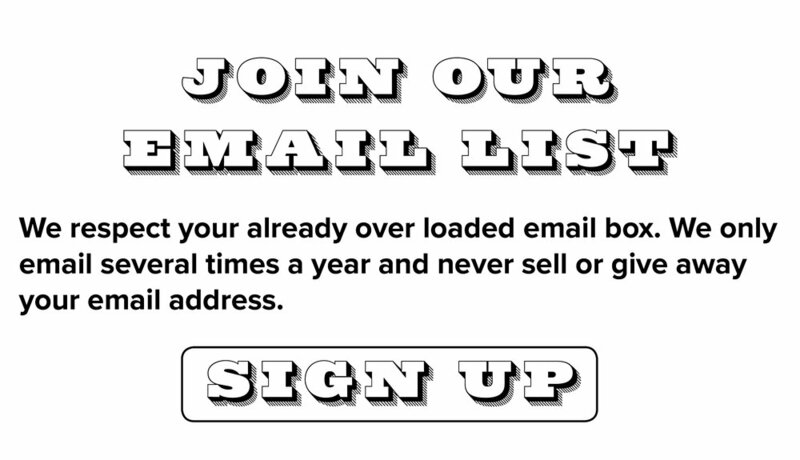 We get a lot of people asking about billboard sizes so they can create or convert specific piece for submission. First, please be assured that your piece doesn't need to fit perfectly on a billboard when you submit your images. There are a lot of ways to work around the different sizes. Second, artwork isn't chosen because of how perfectly it fits on a billboard. We deal with two major vendors that have completely different requirements, and have different billboard sizes and formats. Because of this, it is difficult to give out specific sizes and ratios until a few weeks before the show goes up. However, a lot of people have asked for this information during the submission process, so below are the most common sizes we've gotten in the past. Lastly, do keep in mind that every billboard company has different names for its different sizes. TBC refers to all sizes 10'x22' and above as billboards, and works exclusively in these larger size formats. FAQ: BELOW ARE COMMON BILLBOARD SIZES. IT IS NOT NECESSARY TO FORMAT YOUR ARTWORK IMAGES TO THIS ASPECT RATIO. IT IS JUST HERE FOR YOUR INFO.